For 2018, the new KTM Duke 790 will receive an all new 799cc engine which is also the company’s first in-line twin cylinder motor, known as the LC8c. Capable of producing a maximum power output of 105 PS at 9000 rpm and 86 Nm of torque at 8000 rpm, this engine will be paired to a six speed transmission. 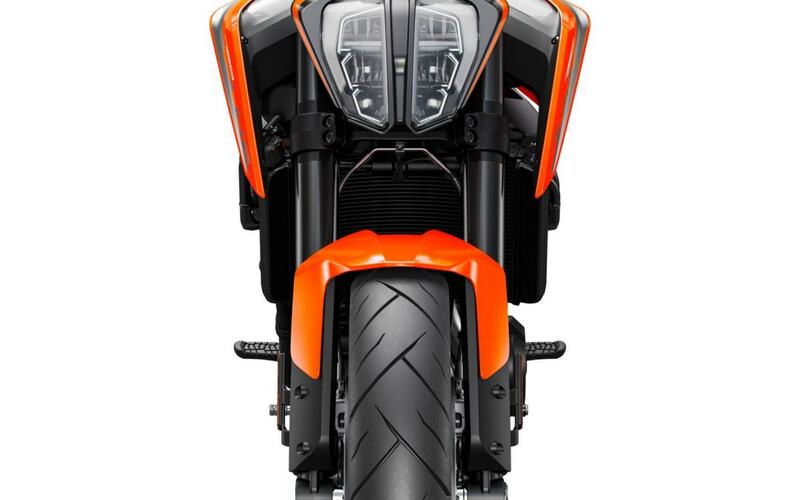 KTM has also equipped the new 790 Duke with two balancer shafts in order to reduce vibrations. Based on a steel frame chassis with the engine as the stressed member, the 2018 Duke 790 weighs 169 kgs. Feature wise, the model comes equipped with full LED headlamps, quick shifter, full colour TFT instrument cluster, launch control and cornering ABS. Suspension duties are taken care of by WP sourced adjustable 43 mm split function USD forks at the front while a pre-load adjustable gas charged monoshock unit does duties at the rear. 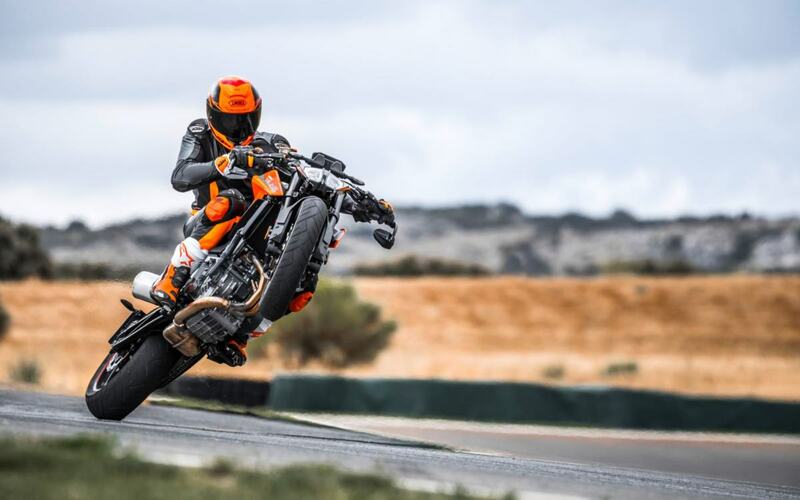 The bike comes to a standstill with the help of dual 300mm dics at the front with four piston calipers at the front and a 240mm single disc with two calipers at the rear. 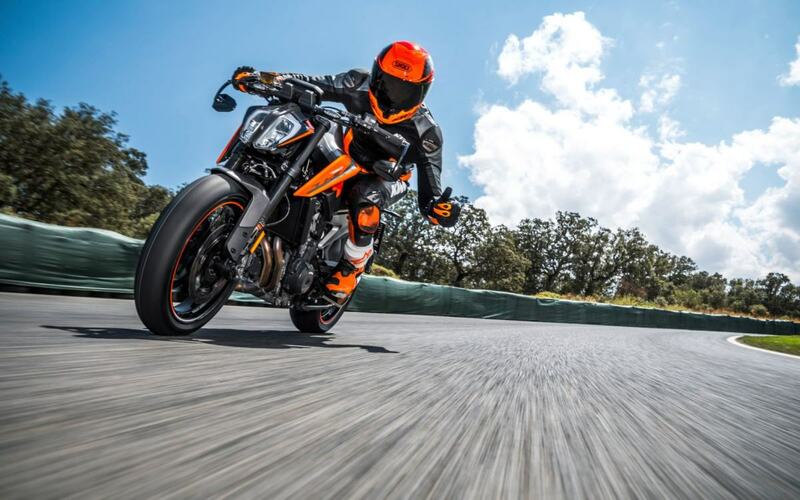 KTM will also offer supermoto riding mode, lean angle sensing traction control and other riding modes including a customizable track mode. Owners can also opt for the KTM My Ride system which will be available as an optional feature. 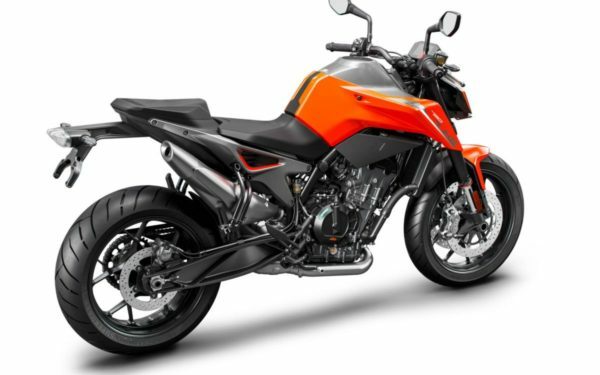 The New 2018 KTM 790 Duke is likely to arrive in India in late 2019 and is expected to come via the CKD route. Prices for the model could range between INR 7-8 lakh.